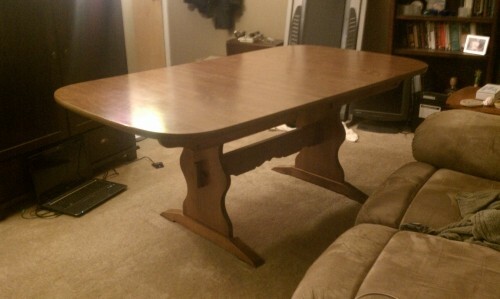 Very nice, sturdy, heavy dining room table. The table measures 60" long without the leaves, 40" wide and 29" high. Two 10" leaves are included. 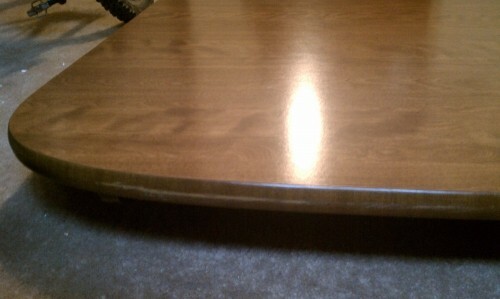 The table top is 1 3/4 laminated particle board, which is in really good shape. 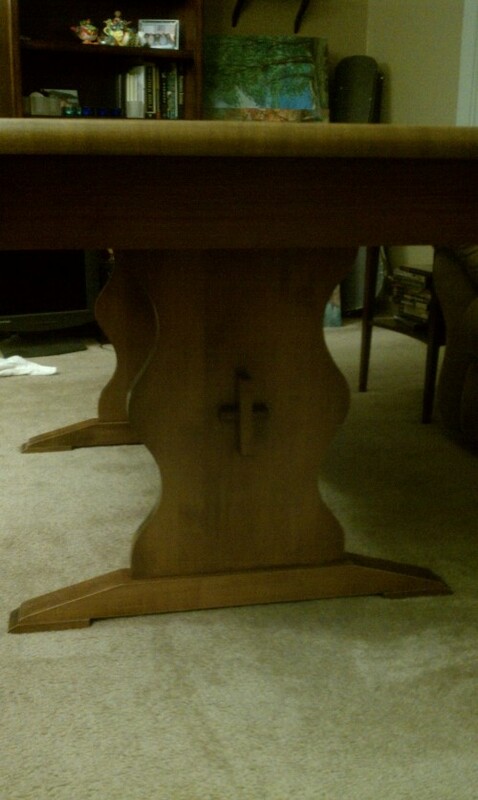 The legs are solid wood along with the mechanism to elongate the table.